For the next installation in our A Tale of Two Supermarkets series, we're taking a look at Flanders, NJ, a suburban-borderline-rural town in Morris County, NJ. 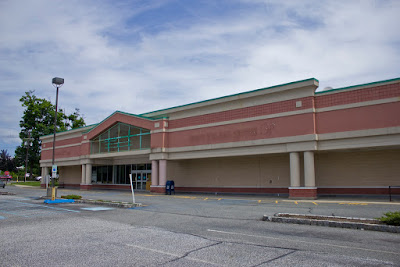 For a little history, A&P opened in Flanders, NJ in the early 1970s. 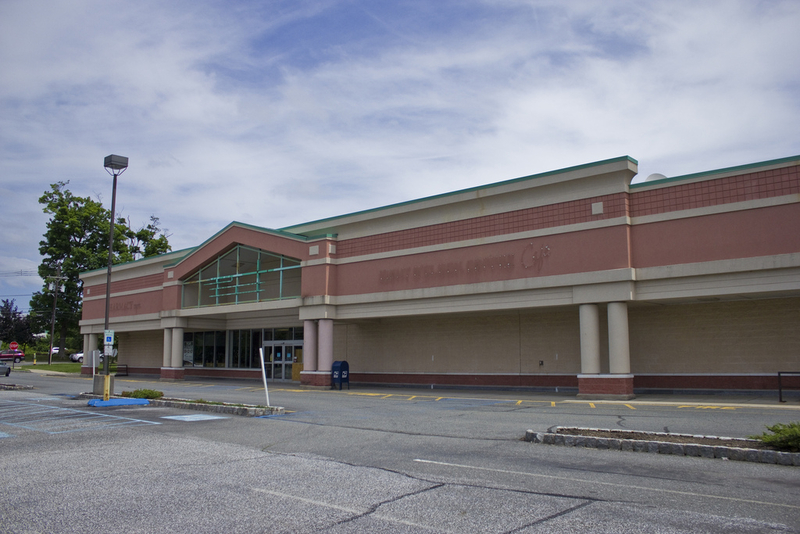 In 1999, Weis built a brand-new store across the street from the A&P, but being in a worse location, the store failed and closed by 2002. ShopRite took over later the same year. 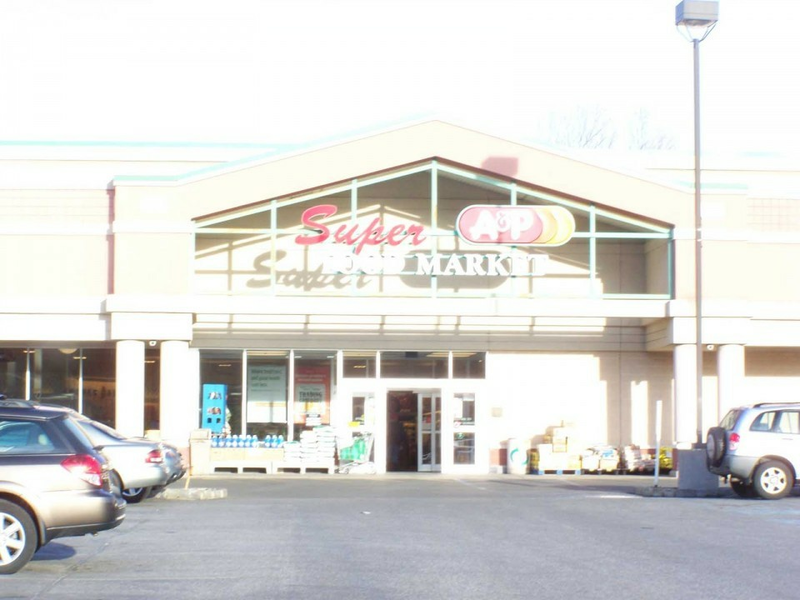 A&P closed soon after in 2004, and Weis re-opened in the former A&P in 2014. I don't know exactly what the distinction between a "Weis" and a "Weis Fresh Market" is. I've seen both. Does anyone know if there is one? 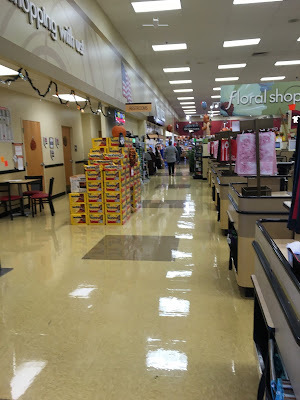 Heading inside, we see a wide, attractive grand aisle with produce, deli/hot food, and bakery. There is a café immediately inside the entrance to the left. The polished concrete floors in the grand aisle look great, although I wish they continued throughout. I'm also not a fan of the drop ceiling. A&P's layout was most likely almost identical. The café was certainly in the same place. Along the back wall are seafood and meat. 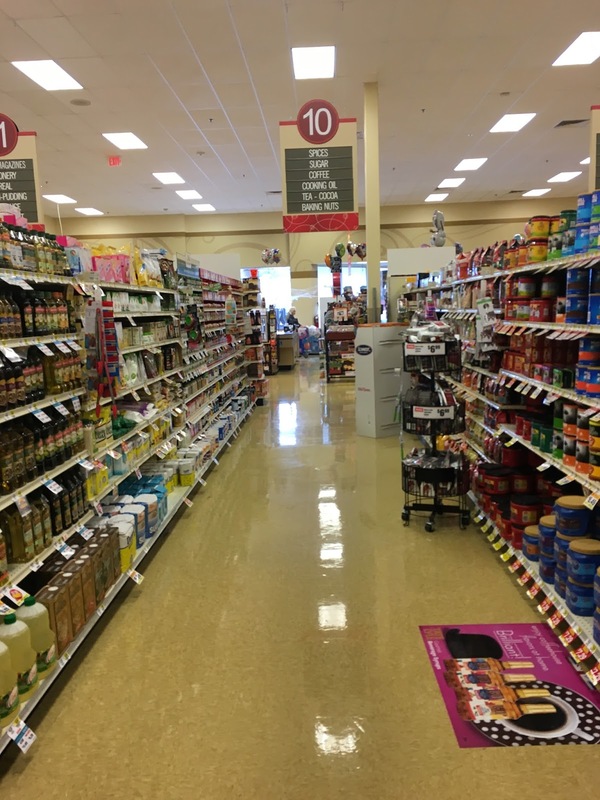 The first few aisles are HABA and natural/organic. The pharmacy is at the front of the first aisle. Again, the fake wood flooring looks great here, but I would have done either that or the polished concrete, not both. The rest of the grocery aisles are pretty standard. 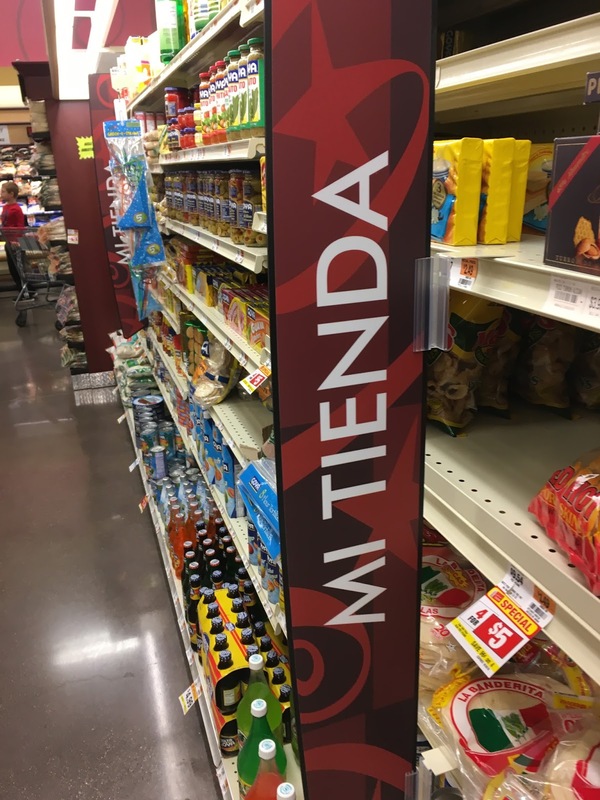 They have a "Mi Tienda" (literally "my store" in Spanish) section that supposedly has ethnic foods, but it's a pretty small selection. I don't know if this is A&P's shelving or new shelving. It's strangely low. Another slightly strange thing here is there is only one aisle marker for each aisle, halfway down the aisle. It clears up the space but makes it harder to read. I also can't say I'm a fan of this flooring. Along the back wall in the corner is dairy. The dairy section continues down the far wall of the store. It's nice that all of the dairy cases have doors on them. Frozen foods are on the right above. Along the front end in the far front corner is an alcove with bread and a few other random grocery items. I have to wonder if A&P had something else here, or if it was always a bread alcove (which some A&Ps did have). The front-end is very spacious, and there are more than enough registers. The pharmacy and customer service counters are past the checkouts along the front end. All in all, the Flanders Weis is a very nice store. There's nothing particularly special about it, but it's bright, clean, and modern. I would probably go with the ShopRite across the street unless you're trying to avoid crowds. Stay tuned for the ShopRite on Friday! The Fresh Market Concept is pretty much how the modern Weis stores are laid out, with the deli, hot foods, and bakery along the left wall, surrounding produce. The Fresh Market was rolled out during 2004 and is seen in most new built or renovated/expanded stores. Thanks for the link! That makes sense. I think I came across that website a while ago but it didn't really sink in. When I was down in Maryland last summer there was no supermarkets in town except for two Weis supermarkets and a Giant-MD 00's-style store. Weis was honestly the better option down there! Their stores were well stocked and clean. The staff was helpful, and charismatic. Have you seen the Weis deli's "Watergate Salad"? It might be a regional thing, but it didn't look like regular Watergate salad, for sure! It was more of a green marshmallow paste. And it was expensive! Something crazy like $15 per pound! I agree. When I stayed on the Maryland/West Virginia border, there was a Food Lion in my town and a Weis about ten minutes away which was far better than the Food Lion. I think ShopRite is stronger than Giant-MD or Food Lion, which is why Weis seems less wonderful here. I've never seen or heard of Watergate Salad, but green marshmallow paste doesn't sound overly appealing! Hmm, you're not making it sound more appealing.